Naughty words in Google Maps here. …so I did a little more digging, and it turns out that the Google Maps are indeed old. 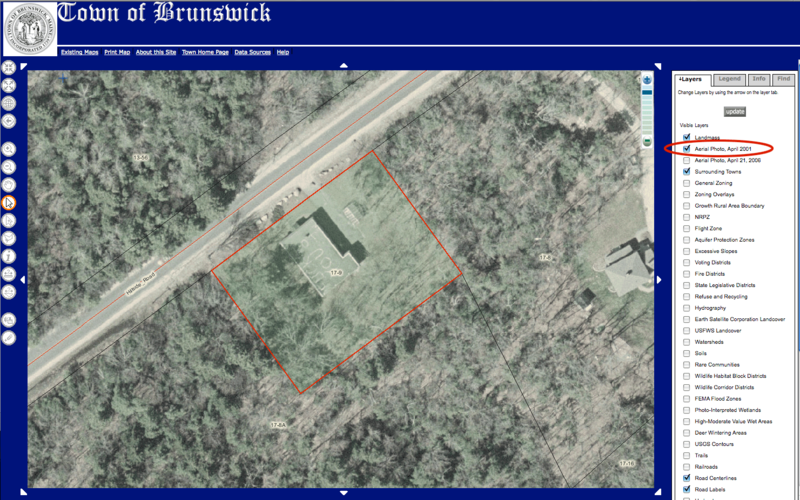 The Town of Brunswick has a GIS site (for tax maps, I believe). 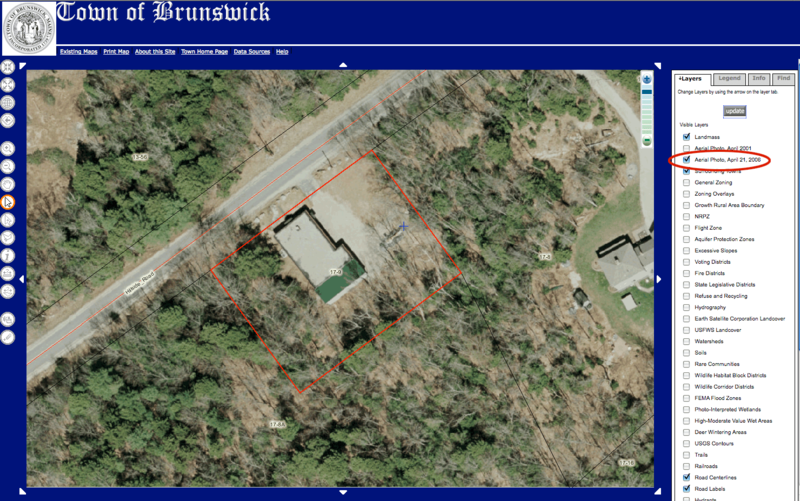 It shows the property (23 Hillside Rd.) 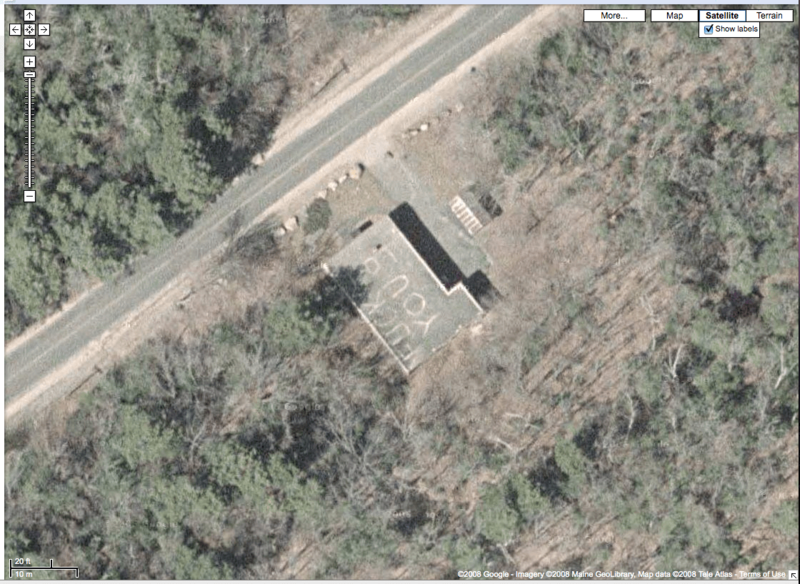 to have the graffiti on the roof in their Aerial Photo from April 2001. The graffiti on the roof is gone in the Aerial Photo of April 21, 2006 (or has been digitally removed).